On May 14, Magic: The Gathering pro Gerry Thompson won Pro Tour Amonkhet, securing one of the most coveted trophies in competitive magic play. Five days later, he put that trophy on eBay, along with some other event swag, with all the proceeds going to benefit Planned Parenthood. “I strongly believe in what they do and the care they provide,” Thompson told Kotaku. “With their funding under attack, now is the time when they need help the most.” The auctions raised over $6,000 for the women’s health group. 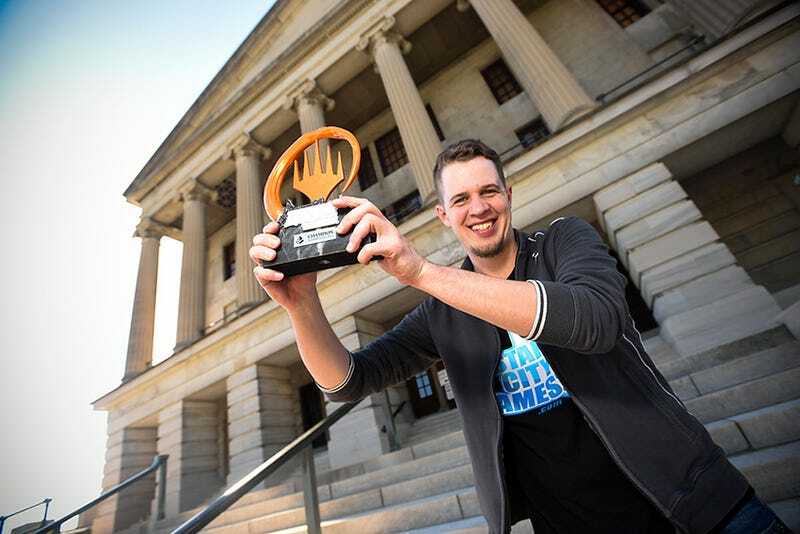 While Thompson, who began playing Magic competitively around 2002, has found the community around the collectible card game to be his “home,” he eventually realized that wasn’t the case for other players around him. He’d notice that women who came to his local hobby shops once or twice to compete in tournaments often never returned. Rafael Abrahams is a 6th grade math teacher in Boston, and a competitive Magic enthusiast specializing in Modern. You can follow him on Twitter @shloopu.